The Madras High Court Bench in Madurai on Thursday dismissed a couple of public interest litigation petitions filed against the supply of Tamirabarani surface water to industries set up by co-packers of Pepsi and Coca Cola at the Industrial Growth Centre established by SIPCOT at Gangaikondan in Tirunelveli district of Tamil Nadu. A Division Bench of Justices A Selvam and P Kalaiyarasan rejected the petitions and also vacated an interim injunction granted by the court in November last restraining SIPCOT from supplying water to the two units. In November 2016, the court had banned Pepsi and Coke from using the river's water for their bottling plant on a plea that these companies were depriving farmers of their livelihood, who were unable to take up farming activities. The companies paid only 37.50 paise per 1,000 litres of water extracted and sold their beverages at a much higher cost, the PIL filed by Prabakar, Secretary of Tirunelveli Consumer Protection Association, stated. In their counter affidavits, the co-packers for PepsiCo and Coca Cola had denied allegations of exploitation of Tamirabarani river water by their industries at the Industrial Growth Centre (IGC) administered by State Industries Promotion Corporation of Tamil Nadu (SIPCOT) on 1,991.58 acres at Gangaikondan in Tirunelveli district. Allowing supply of Thamirabarani water to the two companies would affect lives of people in five districts, the petitioner had said and sought its sale to be stopped. Upset over the high court order, a large number of people on Thursday stood in knee deep water in the river to express their ire. They also protested against the "laxity" on the part of the authorities in handling the case. The protesters also shouted slogans against the state government for not taking necessary steps to prevent the carbonated water companies from drawing water from Thamirabharani, when the farmers in the was facing acute water shortage for their farming activities. 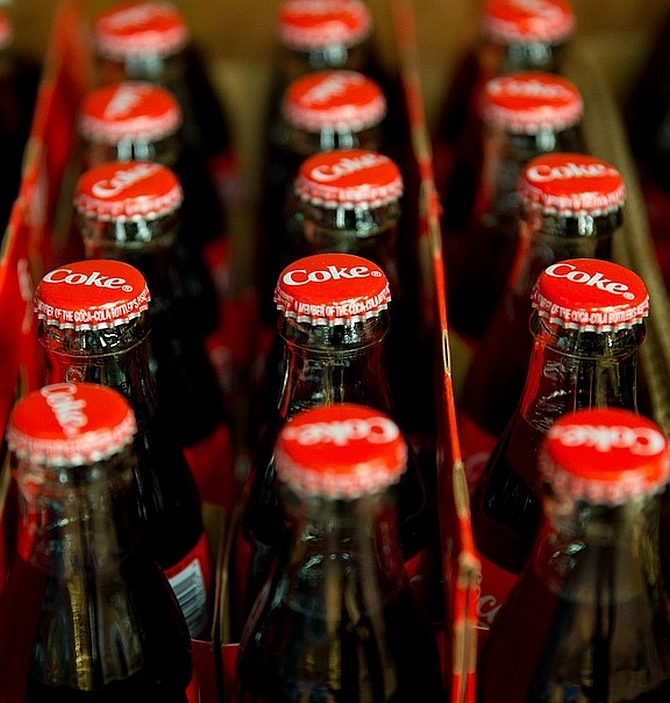 The verdict comes even as a ban sales of Coca Cola and Pepsi soft drinks came into effect on Wednesday following a call by the Traders Federation in Tamil Nadu with its president, A M Vikrama Raja declaring drinks as 'toxic' for consumption. "About 70 per cent of the (15 lakh) traders have decided to boycott the sales of Coke and Pepsi from today onwards for their toxic nature. Whatever you find on the shelves of the stores are leftover stocks and those not taken back by the (distributing) agencies," he said. The state's traders are batting for local beverage brands, citing concerns about health. The traders and the Left organisations have been campaigning against the two beverage giants for nearly 30 years. Two years ago, a plot allotted for a bottling plant by Coca Cola in Erode district was even cancelled following a huge protest by farmers, who claimed that the plant would siphon off ground water. Welcoming the decision of the traders, PMK chief Anbumani Ramadoss said, "I was completely against these carbonated drinks. We made policy regarding this earlier". The former Union health minister said the government should bring in more awareness regarding this. "We have a huge surge of non-communicable diseases due to consumption of these things," he added. The latest offensive against the two international brands was triggered during the recent protests over the bull-taming sport, Jallikattu, in Chennai's Marina Beach, when some of the youngsters spoke up against Coke and Pepsi.